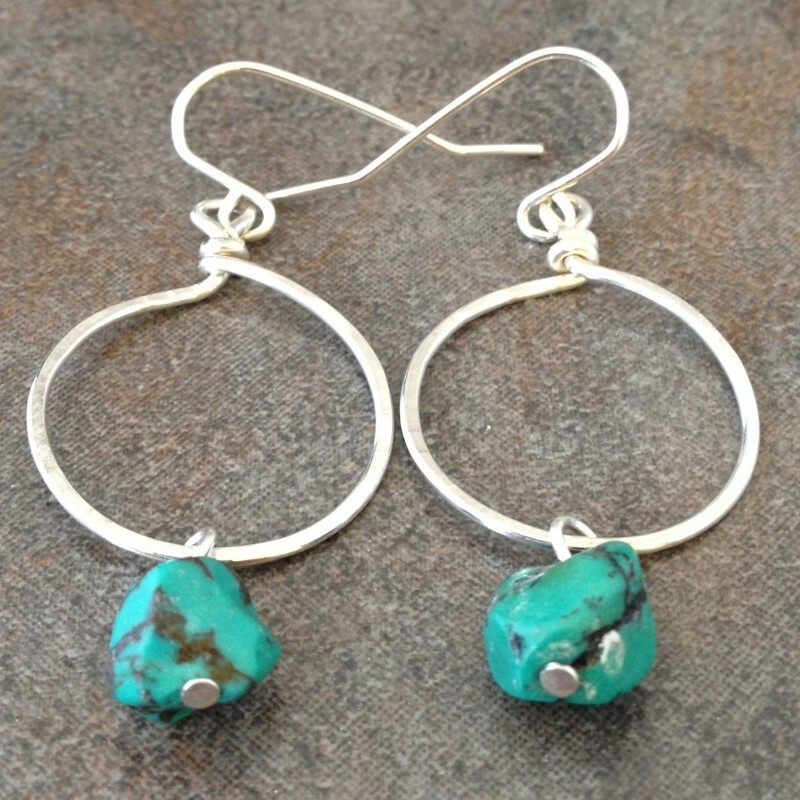 Hammered sterling silver hoops with dangling turquoise nuggets will become your Spring and Summer everyday favorite earrings. 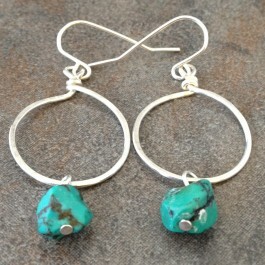 The hammered hoops have a satin organic finish and complement the organic and natural shape of the turquoise nuggets. 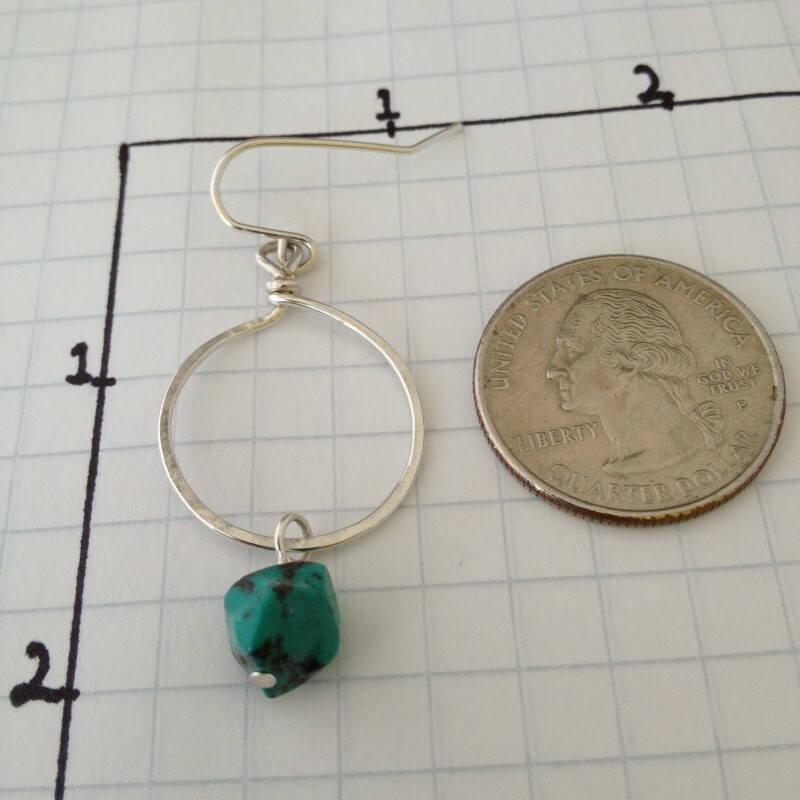 2" long, 3/4" wide.